The Alana House based Enrich Programme was developed in response to partners identifying a need to work together to better support women who have reached crisis point, often experiencing domestic abuse, poor mental health, substance misuse, poverty, unemployment and isolation. Reduce vulnerability, and reduce the costs to statutory services (police, ambulance and A&E). The Enrich Programme achieved these aims by providing targeted, holistic interventions including one-to-one support, group workshops, outreach, access to training, volunteering and employment opportunities, counselling, and a Therapeutic PhotoVoice photography course and exhibition. The 6 month pilot was a success – 100% of the women saw a reduction in calls on police time, and 100% of the women reported increased self-esteem and self-confidence. One of the women involved, Satiya*, was homeless with drug and alcohol addictions, had her children removed, and had been arrested 26 times in the past 11 months. Since Enrich, she says she has ‘hope’, has contact with her children, and hasn’t been arrested. Changing Lives is a national charity that, each year, supports over 20,000 vulnerable people to make positive changes to their lives. We specialise in helping people overcome barriers to achieving their potential, including addiction, housing and homelessness, offending, and employment. Our gender-specific services recognise the unique challenges women and girls can face, particularly in relation to criminal justice and sexual exploitation. In Doncaster, our services are as diverse as the community we serve. We offer person-centred support to people from a range of backgrounds. A core strand of our work is women within the criminal justice system. Women are often disproportionately impacted by the CJS, through harsher sentencing and separation from children. We aim to prevent women entering or returning to the CJS. Our work includes advocacy, support around complex needs, domestic and sexual abuse, education, training and employment, housing, mental health, parenting and substance misuse. We work with women in prisons, in the community and ‘through the gate’ as they leave prison. As well as outreach in the community, we work from our building in the heart of Doncaster, where our extended opening hours and on-site crèche make it easier for anyone who needs help to access it. The primary objective of The Skill Mill is to reduce re-offending whilst giving participants real work experience and provide skills to help them gain further employment in the future. It is a not-for-profit social enterprise set up in Newcastle, in 2013 and now operating in Leeds (2015), Liverpool (2016), Durham and North Yorkshire (2017). 8 further Skill Mill teams are proposed for 2018. The Skill Mill requires cooperation between local and central government, the private sector and VCS organisations to provide job opportunities for NEET ex young offenders aged 16 – 24, targeting those with more prolific criminal histories and in particular those who have served prison sentences. Through an employment contract with the Skill Mill, the young people are given the opportunity of a paid job and offered training in environmental maintenance work including, small-scale landscaping works, horticultural services and general tidying of public spaces. The work is fully supervised by a competent Team Leader typically seconded from the Youth Offending Service. Every young person who completes six month’s employment with The Skill Mill is then offered a ‘next step’ job with one of the partners of the programme or transition into the wider labour market. It has been identified that in excess of £8 million worth of fraud has been committed to fund problematic gambling from a number of offenders in Cheshire. There is a need for Cheshire Constabulary to address the root causes for gambling-related criminality. 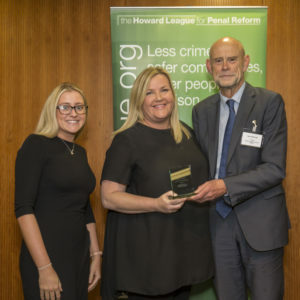 This is being achieved by working in partnership with the partner agencies from the private sector, which have experts in the field of treatment for persons with problematic gambling, to reduce the risk of reoffending and “break the cycle” by reducing crime and victims of crime. This diversion pathway provides a unique opportunity to offer an appropriate alternative restorative sanction for a person’s committing crime, whilst presenting as a problem gambler. The individual will be educated, counselled and rehabilitated, in order to reduce the cycle of reoffending, by using Conditional Cautioning and Community Resolution opportunities with restorative orders to support rehabilitation and reduce persons entering into the prison system. 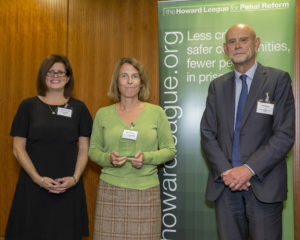 This project has been developed in collaboration with Gamcare, Beacon Counselling Trust and Mitie Care and Custody to screen persons entering into the Criminal Justice system for problem gambling. This screening will provide an early intervention treatment opportunity using this diversion pathway. Improve the relationship between drug support services and the police. Police who find an individual in possession of any class of drugs, adult or juvenile regardless of their criminal history, can refer the individual into the programme. It is a one-off intervention, where individuals attend and are provided intervention and education around drugs, whilst also being assessed for further needs. This may be anything from educational material, to full support. 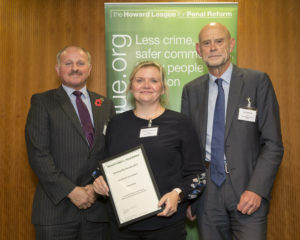 The programme has been developed by AIRS, the commissioned provider of in custody services; however the programme seeks to keep people away from the criminal justice system. Where someone attends and engages in the session, the drugs possession offence is not prosecuted and there is no record made. So far the programme has had over 500 referrals. The ethos is that if we believe in the effectiveness of drugs interventions, and believe those involved in drugs may need support rather than prosecution, we do this without criminalisation. The DIVERT strapline is ‘Prevention is better than Court’. Divert avoids the unnecessary criminalisation of children through assessment of underlying (often unmet) needs and diversion into alternative intervention or treatment. 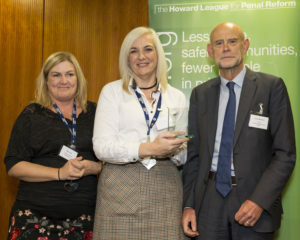 Designed and delivered by the Youth Justice Service in Cheshire on behalf of funding stakeholders including the NHS, the PCC and Cheshire’s four Local Authorities, Divert began as a purist liaison and diversion pilot project but has subsequently developed into a broader preventive and restorative project. The Divert manager provides a triaging service on all children aged 10-17 arrested by the police for less serious offences (gravity scores 1-3) and determines which children and young people should be diverted into the local authority ‘front door’ for a safeguarding response, and which should receive an assessment and intervention by the Divert team. In 2017/18 Divert dealt with 603 referrals on children arrested by the police, completing assessments and making recommendations for disposals which helped avoid sanctions which could adversely affect their future prospects. Divert has contributed to a 50% decrease in first time entrants to the justice system the following year (evidenced by comparing the phasing in of Divert in different years for each Local Authority area in Cheshire). Liaison and Diversion services identify people who have mental health, learning disability, substance misuse or other vulnerabilities when they first come into contact with the criminal justice system as suspects, defendants or offenders. They complete assessments and refer and support onto suitable services. The Coventry Criminal Justice Liaison & Diversion Service covers Coventry police custody, probation and courts and also receives external referrals from probation and police voluntary attendees. It represents the Trust at various police and probation led meetings and is the link between healthcare and police/probation. The team provides professional guidance and advice for care, support and risk management, and they provide on the spot advice and training for police, probation and the courts when issues arise. The team also work to improve understanding and acceptance of vulnerabilities, in particular mental health, for the lay professional. They regularly provide formal presentations to teams when this is requested, to enhance understanding of vulnerabilities, and the concept of Liaison & Diversion and the referral process. The team in Coventry is a well received and respected team within the criminal justice system. 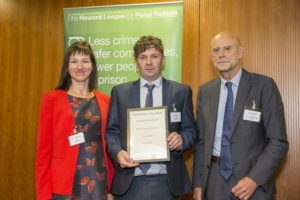 The project is a fusion of Criminal Justice and Rehabilitative associates, who work together to rehabilitate offenders, reduce victims of crime and improve community life by working in partnership to manage some of the Wirral’s most problematic offenders. 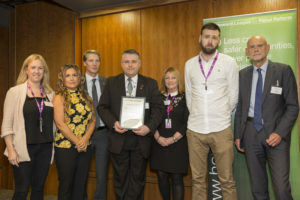 Core partners are Merseyside Police, National Probation Service, Merseyside Community Rehabilitation Company and Wirral Ways to Recovery, although a wider range of agencies stand ready to assist with solutions to criminogenic need. We are collocated, thus overcoming silo working methods to deliver meaningful strategies around offenders who need help and guidance away from crime. Partners can discuss offenders in real time by a discussion across a desk. This close working arrangement also affords agencies the ability to deal with risk around victims and vulnerable persons associated with cohort members. A variety of offender profiles are dealt with including acquisitive crime offenders and more recently those who are disposed to domestic abuse. Those who have been identified to be managed under this integrated approach can expect robust yet fair supervision – the aim is get offenders to accept responsibility for their behaviour and to support them out of criminality by providing support, mentoring and diversion. Lack of trust – Members with reoffending backgrounds rarely engage fully with the many services available to them due to deep seeded trust issues and a feeling that they are being judged. Lack of Structure – Special attention needs to be paid to fundamental life skills: time management, following rules, taking directions, personal appearance and communication. Members need to be given time to adjust to what, for them, are massive behavioural changes. Negative Mindsets – The most crucial part: addressing confidence, self-esteem, motivation and mindsets, especially regarding attitudes towards work and the community. Project Future is a community-based, youth-led mental health project for young men aged 16-25 involved in ‘gangs’, offending, and serious youth violence in Tottenham. 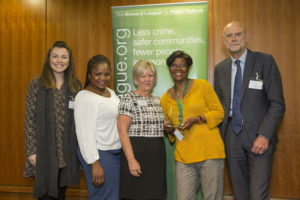 It is a partnership project with Barnet, Enfield and Haringey NHS Mental Health Trust (BEH), Haringey Council and MAC-UK and the Metropolitan Police. It is funded by the Big Lottery and independently evaluated by the Centre for Mental Health. The project aims to; 1) Improve well-being, 2) Reduce offending, 3) Increase access to education, employment, training (EET), and 4) Improve stability by bridging young people into local services. A long-term objective is to reduce the economic and social impact of serious youth violence and gang-related offending to society by addressing the health, social and race inequalities that contribute to such issues. Future adopts a multi-agency, holistic approach based on the understanding that no one agency has the solution for the complex needs that these young people present with. The service is led by Clinical Psychologists and uses evidence-based psychological interventions wrapped around interactions and project activities. The project provides a supportive and nurturing environment for young people with bespoke interventions to meet the individual needs of young men to address their mental health, stability, offending and occupational needs. We work in close partnership with professionals and services in the young person’s network (e.g. probation, solicitors) to reduce involvement with the criminal justice system. The project optimizes help seeking to successfully engage and facilitate rehabilitation of some of the most hard to reach young men who are deeply entrenched in violence and offending thus reducing risk of future offending. Dorset Police, Dorset Combined Youth Offending Service, Dorset County Council, Bournemouth Borough Council, Borough of Poole, Crown Persecution Service, HM Courts & Tribunals Service, have worked together to produce and implement the Pan Dorset Children in Care Protocol. This represents a pan-Dorset multi-agency approach to prevent and reduce offending by children and young people in care. It has been designed to provide an overarching set of principles to inform the processes that will ensure that any child or young person in care within the region is afforded the same protection and consideration, whatever their home local authority. 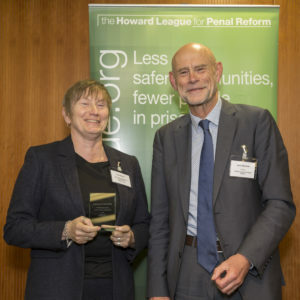 The main aim is to ensure that children and young people in care are kept out of the criminal justice system wherever possible and that those who do enter it are provided with services that reduce the likelihood of them reoffending. This protocol aims to reduce the criminalisation of children and young people in care by encouraging the use of alternative resolution approaches wherever possible within the care setting, in response to low level incidents. This applies to all placement settings and should include all children and young people in care who are in kinship care and those living independently, as well as those in residential and foster care. 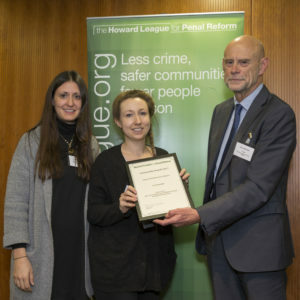 Rose has had a significant impact on the development of The Nelson Trust service’s response to women caught up in the criminal justice system and those at risk of the same. She has designed, developed and delivered award winning services that divert individuals away from the criminal justice system. Her knowledge and expertise helps define best practice such as trauma informed; her innovative thinking is used by others as resource to influence policy. 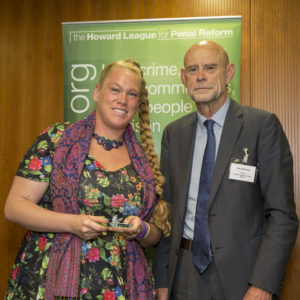 She is dynamic to the extent that she ensures services continuously evolve to take service user need into account, as she strives to ensure that criminality is not added to the significant challenges people with multiple vulnerabilities face. Rose is passionate when it comes to advocating for the disadvantaged in the criminal justice system, she works tirelessly to make sure those without a voice are heard. Rose makes a big impression on all who come into contact with her; she has the ability to engage the most entrenched hard to reach complex women away from the criminal justice system and into a life of independence. The SOS+ Project started 8 years ago, developed after persistent requests of an earlier level of intervention from parents and schools. SOS+ uses professionals with lived experience of being involved in gang and group offending to go into YOTS, PRUs, schools, colleges and other community settings to talk directly with young people about the realities of getting involved in gangs, youth violence and crime; being exploited; and the impact all this has on communities. SOS+ is not a ‘scared straight’ programme; it educates young people about the serious, life-long impacts the consequences of crime, youth violence and exploitation has and challenges the negative behaviours and attitudes of young people. SOS+ is about breaking down misconceptions, engaging young people with scenarios they can identify with and imparting real tools that they can utilise to avoid, and get themselves out of, such situations. Over the past year, the SOS+ project delivered 295 sessions reaching 16,035 young people. These are young people who are at risk and potentially the next generation of those behind bars. 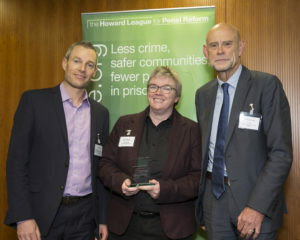 CJ and her team have helped save them from a future of prison and the devastating effects this would have had on them, their families and local communities. Prosper 4 Group (“Prosper”) is a Peckham-based social enterprise delivering training and employment to serving prisoners, ex-offenders and other marginalised people across the country. Prosper has now developed a ground breaking new programme – Europe’s first ever digital jobs board for ex-offenders. The company was founded by Michael in 2014. He was a serving prisoner in HMP Brixton and had started a resettlement project for day-release prisoners. 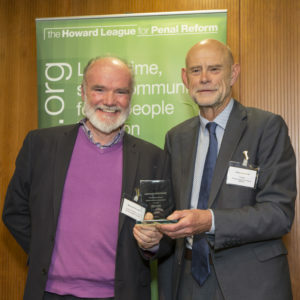 On his own release, Michael established P4G to overcome the sub-standard quality of training available both inside and outside prison, and then ensure that there was a real outcome at the end of the process – a job. Developed a project in HMP Brixton to find genuine employment for over 160 prisoners. The significance of this should not be underestimated. Faced with obvious constraints to his liberty – and a terrible lack of resources (no computers or internet etc.) – Michael still managed to transform the lives of many inmates, finding them jobs, building careers and re-establishing self-respect. Manufactured a range of cosmetics bags made by inmates at HMP Lowdham Grange. The bags – over 1,000 made with great skill and attention to detail – were the product of collaboration between P4G and the Peckham-based charity, Pecan. Appointed by the Northern Ireland Prison Service to help find employment and self-employment opportunities for ex-offenders. Secured funding from the Teesside Reform Prisons to bring a professional focus to jobs, industry and enterprise. Working with prisons in Leeds and Yorkshire to find employment for people on leaving prison. 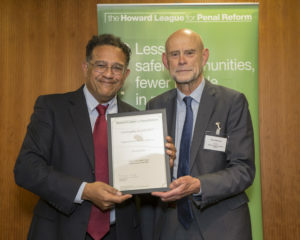 Finally, he has built up relationships with over 50 employers who support ex-offenders (including such foresighted organisations as Halfords, Hilton Hotels, Land Securities, Morgan Sindall and Barclays), and established a far better mechanism for placing ex-offenders into work than either the authorities or other competitor agencies. 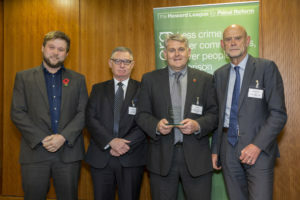 In existence for 32 years and a Registered Charity since 2007, Giroscope operates in the St. Andrews and Newington wards of west Hull, two of the most deprived wards in the country with high levels of violent crime, substance abuse and anti-social behaviour. The Charity buys run-down houses in the area and converts them to a high standard to provide affordable rented homes, with no deposits or fees taken. Tenants are actively supported by the Charity, and many are volunteers who have worked on their own property. Volunteers work alongside each other, under trained supervision, without reference to their backgrounds. We believe that non-judgmental engagement, coupled with support and opportunity, provides the best route forward for rehabilitation into the community. In the past 18 months Giroscope has benefitted from the services of 326 volunteers, of whom 36% are ex-offenders ranging in age from 16 to 59. 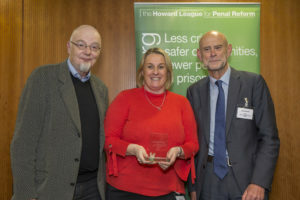 Of this cohort, re-offending rates run at 23% (local average of 40%), 23% achieved at least a Level 1 qualification, 52% received housing support/advice and 10% housed in safe and high quality accommodation accessing free furniture and home starter packs. 15% received a free bicycle. All volunteers received daily travel expenses and lunch. 41 Goodison Road is a house that provides a unique home-like environment for young people to have a safe place where they develop their skills, access education and employment opportunities. It houses our early intervention and crime reduction programmes to provide a ‘Young Persons Offer’ and vital “front door” to knock at in a crisis. Its ‘open door’ enables young people to access a one stop shop of support that helps them to be safe, stabilise their lives and to feel part of a home-like structure giving them a sense of belonging. Our youth justice programme reaches into some of the most challenging and hard-to-reach groups across Merseyside. We operate across the entire spectrum, helping and supporting young people in the youth justice system itself to a focus on crime prevention in areas of high anti-social behaviour and crime. All the programmes offer a significant importance to tackling high levels of crime and an emphasis is placed on those young people who have or are at risk of offending, in care, leaving care. 162 young people have accessed 41 Goodison in the last year for intense support. Over 2000 accessed our early intervention community activities which have reduced crime by 75-82%. 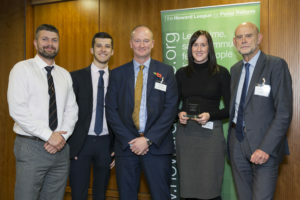 Achievement for All (AfA) has led a powerful new partnership with the Association of Youth Offending Team Managers and Manchester Metropolitan University to improve outcomes for young people in the youth justice system in England who have SEND (Special Education Needs and Disabilities). Rolled out a bespoke free-to-view online platform, the Youth Justice SEND Bubble, which contains SEND guidance, access to research, materials and case studies. This successful DfE-funded project continues to develop, with over 50 area partnerships committing to improvement activity, working towards AfA’s newly created ‘Quality Mark for work with young people in the justice system with SEND’.